Getting your private or commercial pilot’s license will supply you with new freedoms that are sure to benefit your business. From the ability to travel wherever, whenever to the rewarding feeling of accomplishing a goal and beyond, your business stands to be more successful when you know how to fly an aircraft. So, let’s take a look at some specific ways learning to fly will make your business more successful. You’ll certainly save time—and hassle—by skipping security check lines. However, there are other ways that learning to fly will ultimately save you crucial time that can be spent running your business. Instead of being restricted to the airlines’ schedule and delays, you can jet-off when and where you please. Simply put, with a pilot’s license, you can plan your flight around your day, rather than planning your day around your flight. As a business owner, you can imagine the benefits of being able to have a breakfast meeting in New York City, a lunch meeting in Chicago and happy hour in Tulsa, all in one day. That’s something that would certainly be hard to accomplish through the airlines. It’s 9:00 in the morning and you’re just browsing your emails. You receive a message from a customer in another state, saying that he needs to chat face-to-face. Wouldn’t it be impressive to respond, “Be there in a few hours!”? Not only will they be impressed that you can make a meeting happen lickety-split, they’ll be impressed that you are a trained, certified pilot. And an accolade like that is hard to stick your nose up at. No matter where current or potential customers are located, a private plane provides more access than airlines. Airlines generally only fly in and out of major and sometimes regional airports, cutting you off from a large swath of potential business. Whether it’s remote Alaska, rural Ohio or the desolate Moab, private-plane airstrips exist all around the country, giving you access to customers wherever they may reside. Over the long-term, you will generally save you money flying privately, especially if you’re traveling with other business associates. Having the ability to fly yourself and others saves money on plane tickets, baggage fees and hotel costs, among other things. For example, most small aircraft can fit three passengers and a pilot, but the cost is fixed at the amount of renting the plane. So, rather than spending money on four commercial plane tickets, you’ll only pay the up-front rental fee for four people to fly in the private plane. Being a pilot requires a set of skills, a few of which are technical, but many of which that can be applied to various parts of your business life. With it’s unique challenges, learning to fly teaches business owners how to work through problems, apply creative and critical thinking, become comfortable in high-pressure situations and increases focus, among other things. 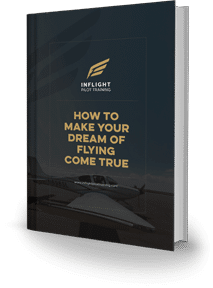 As a student pilot, you’ll be trained to adapt to certain situations and overcome specific hardships—which is a skill that any successful business owner can use. When you obtain a pilot’s license, you put yourself in a better position to reach success as a business owner or executive. With the ability to fly whenever and where you please, unique opportunities are more likely to pop-up everywhere you go—best of luck with your pursuits! Learning to fly has never been easier! Get in touch with the team of expert flight instructors at Inflight to find out how you can get your private or commercial pilot’s license and take control of your business trips. 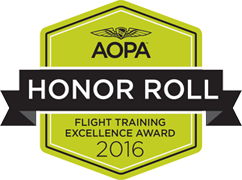 Inflight Pilot Training is a leading flight instruction company in Minnesota. With a reputable training program and extensive roster of highly skilled, certified flight instructors, it’s our goal to help you achieve the certification you want. With our personalized, results-oriented approach, you’ll be soaring through the skies soon – get in touch with our team of flight instructors to find out more.